The first thing we need to do is see where we are with our current web presence. We need to know what keywords our site is currently ranking for. I’m going to use this blog, Fire Up Today, as a test case. Let’s open up the popular SEO tool SEMRush and see what we find. In almost every case the result is also tied around “quotes” from that subject. If we look at the traffic graph, we can see that traffic has generally been improving over the last year. So it makes sense to look at our keyword selections and see if we can create some long tail options that may bring additional traffic and help refine our audience. One way to see if we are currently ranking for long tail keywords is to sort the SEMRush keyword list by position. Long tail items usually rank better and have less competition than others in the list. Here is what we find. 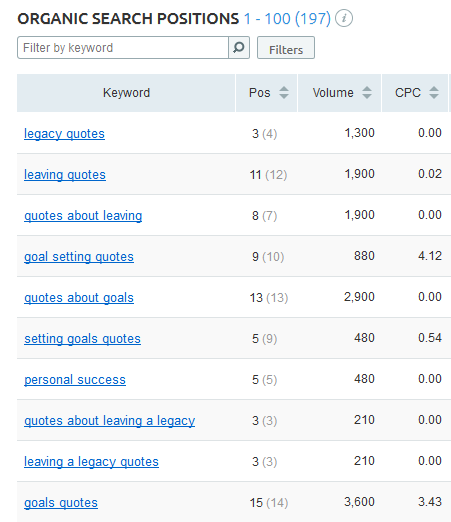 Long Tail Keywords are usually defined as keywords with four or more words in them. 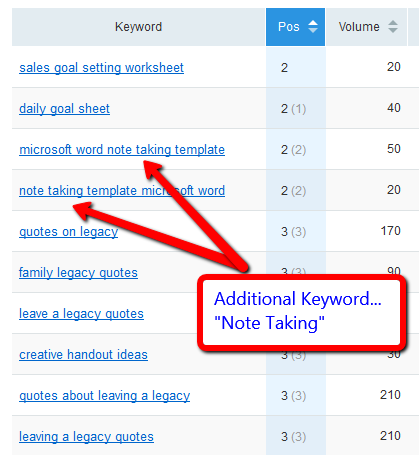 By listing SEMRush by position we see that we are currently ranking well for long tail versions of an additional keyword “note taking.” We can add that to our list. KeywordTool.io with the keyword Goal Setting and see what it comes up with. This free tool gives us over 400 long tail options. We can easily go down the list and find numerous topics for future blog posts. Let’s take a different term, note taking, and search with the helpful tool Ubersuggest and see what it comes up with. Notice the top link is a numbered quote post. Combining the advantage of a top ten post with the popularity of quotations, you have a link that was shared 28,000 times. The second post has a dramatic claim… it saved my life. Must be pretty popular topic as it claimed over 14,000 views. The third one is another list post, this time a top 25 list of legends in the personal development field, with over 14k in shares. The take away from Buzzsumo is that list and quotes posts do very well. All three of these titles are eye catching and include one of our long tail keywords. Now all we have to do is write some posts using these titles. 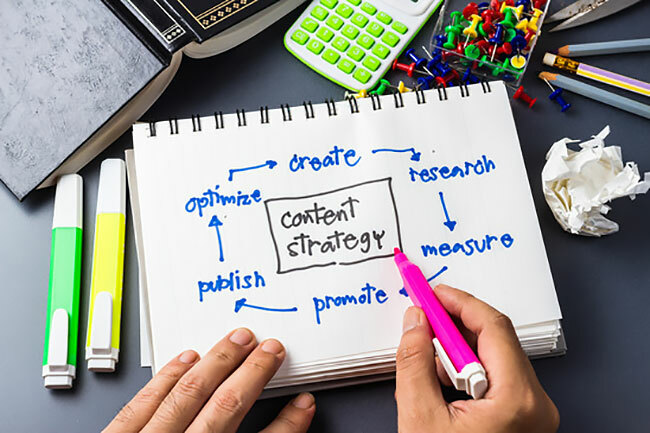 The current strategy for blog posts is to either keep them real short (about 300 words or less) or make them substantial and authoritative, with a content length of 1,500 to 4,000 words. This graph from Kevin Delaney of Quartz illustrates the strategy. 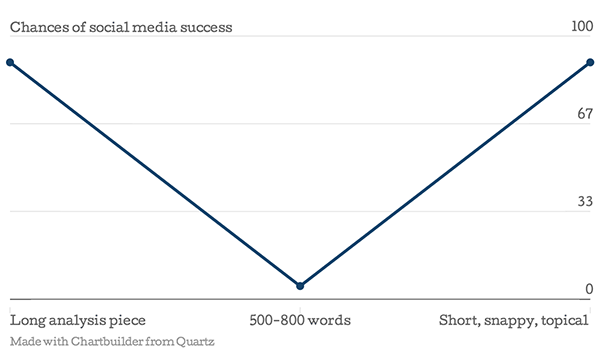 Most blog posts are 500-800 words. As you can see from the graph, social media shares are almost non-existent at this length. So let’s look at our three posts from above. A quotes post should have large graphics, but be short on text. 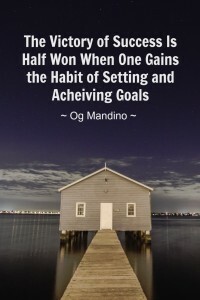 Let’s create a 300 word post with 10 different graphic images about motivational goal setting. For the other two, we’ll need to research the subject, include data analysis, and write posts that include related long tail keywords as subheads. For our quotes page, we’ll want some graphics that are shareable on the top social media sites. Here is the issue. We need to find out where our current content is being shared so we know what size and shape to create our graphics. The easiest way to do this is to look at our analytics. Here is a peek at my Google Analytics page from this blog using the blogger dashboard. It’s really easy to see what brings the most traffic here. Pinterest is heads and tails above the rest. To create shareable graphics for Pinterest we’ll need to look at their latest graphic recommendations. 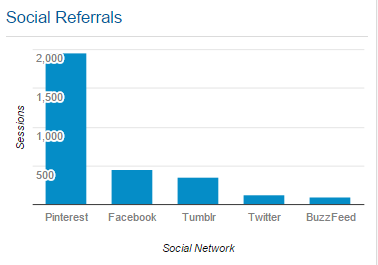 Dustin Stout over at Dustn.tv has a great post about optimizing for Pinterest. He increased his traffic to this graphic oriented site by 2,000% by creating graphics the proper size and using a special plugin to share them. 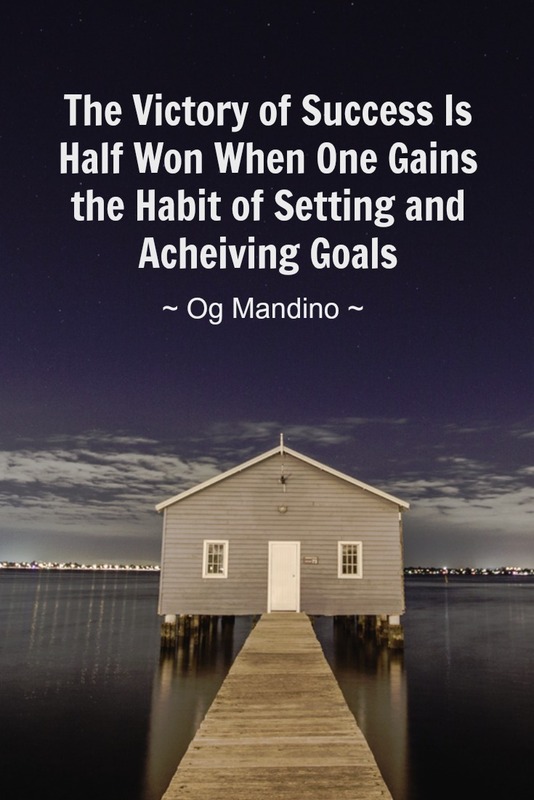 Let’s take a motivational goal setting quote from one of my favorite authors, Og Mandino, and create a Pinterest shareable graphic. In under an hour I can easily create ten of these, and then write a short blurb about each one and add links to other pages on my site that relate to the topic. By keeping this short and graphics focused, it will be easily sharable and be an easy addition to my Goal Setting Pinterest Board. If I want to add additional graphics for Facebook, Twitter and other social media, I can use Dustin’s size guide to optimize each one. For our other two posts we’ll need some shareable statistics and possibly an infographic or two. Since I’ve written extensively about note taking in the past, I’ll pull up some older articles to get started. To quickly and easily create infographics, we can use a dedicated infographic program or just fire up Powerpoint. 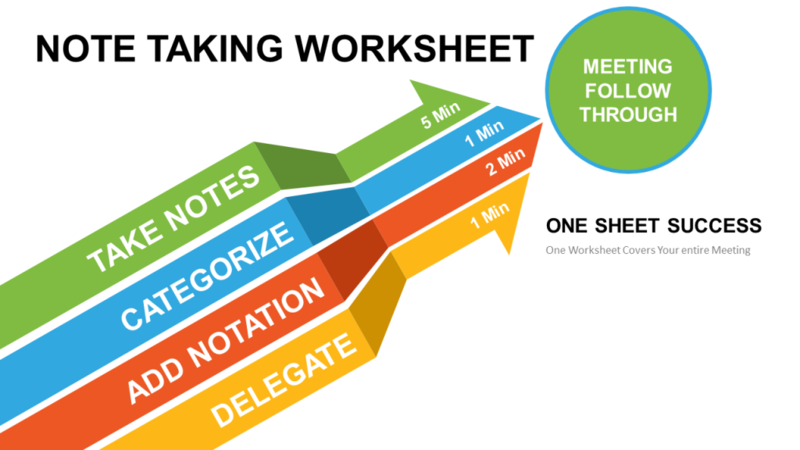 For this post I’ll use Powerpoint to create a compelling info graph for my popular note taking worksheet. Let’s see how it is done. I just create a slide and add to appropriate Smart Art. Then I just add text to each section and print the final file out as a jpeg or png files. Then I link the infographic to my product page. 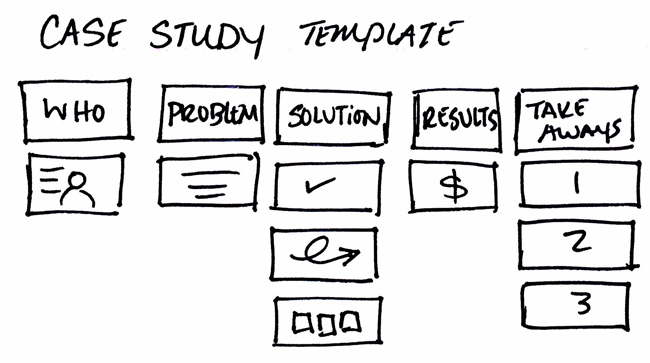 To complete the project I show a picture of the note taking template for reference. This explains to the user how to fill in the template. Once I have the graphics done, I can outline the post with interesting items about college note taking. In this case I’ll have 25 subheads, one for each note taking activity. Once I am done with the subheads, I’ll finish up with a summary section and end the post with a compelling question to solicit reader comments. 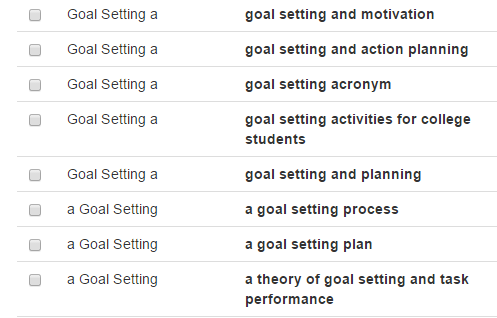 I can repeat this process with a future long form post on Goal Setting and Action Planning. Longer posts such as this take time to create. You have to research your subject, create visuals, outline the content, create subheads and then write the actual post. As I have put these together, I have found they are best done over two or three sessions. For years I have created shorter blog posts and have been able to compile them in an hour or two. With long form content it’s hard to do everything in one sitting. Here are a few suggestions that can help as you curate content. Kelly Kingman has a great three step content creation strategy on Copyblogger that has helped me with this longer form post. You can use post-it-notes, index cards, or a computer program to do this. 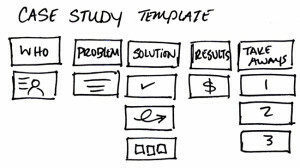 As a visual person, storyboarding the concept really helps me organize content and go from blank page to finished post in a reasonable amount of time. I’ve found that blank business or index cards work well with a Sharpie to quickly get the ideas down. I can then create a mini flowchart right on the desktop to complete the process. Since long form content takes longer, I have had to rethink the whole blog process. Currently my strategy is to create one long form post a week, with research and overview writing on weekdays and compiling the post on Saturday. Finishing on the weekend gives me more time to fine tune the article and make sure it is ready to be broadcast out on Monday morning by email. Ideally it would make sense to create one long form piece and one shorter piece each week as time allows. If you blog, I recommend that you consider writing longer posts. With Google now measuring posts by authority, you’ll have better luck getting ranked by writing a few long form posts than by blasting out conventional 500 word blurbs. Case studies by Neil Patel, Jon Morrow, and Copyblogger show that spending the time to make a post a valuable resource for your readers will pay off in the long run. I hope this post has been helpful to you. If you are new to blogging, you may have found that it is hard to get traction in the crowded marketplace of ideas. By creating substantial long form posts, you’ll separate yourself from the crowd, and set yourself up as an authority in your niche. Question: What type of long form posts will you write?